Short version: Call to urge Republicans not to support the "nuclear option" in order to ram Gorsuch through. Dial 1-855-976-1895 and they'll walk you through every step of the process. This one is from MomsRising.org who provided the phone number and did all the work to figure out the best Republican targets. 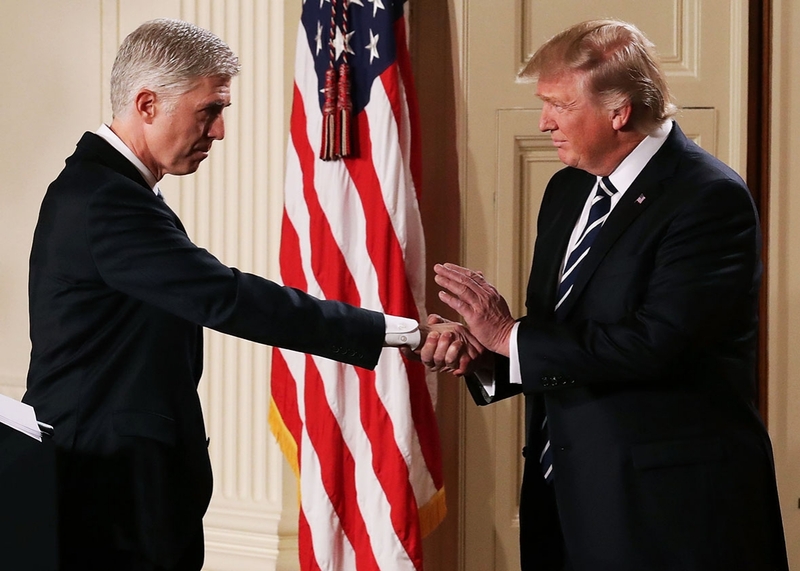 As a Supreme Court Justice, Neil Gorsuch would codify the worst of the Trump Administration into our nation’s laws for a lifetime - something our country simply cannot afford. And with the White House currently under investigation, now is not the time to consider appointing a new U.S. Supreme Court Justice. Whoever heard of the defendant appointing his own judge? Senate Democrats have the 60 votes to filibuster Neil Gorsuch's confirmation to the U.S. Supreme Court. Senate Majority Leader McConnell is expected to take steps to lower the threshold for Supreme Court nominations to a simple majority vote -- the "nuclear option" -- as early as this Friday. But he may well be bluffing. More than a dozen Republicans have refused to say they'll support the nuclear option of blowing up the rules of that Senate to ram Gorsuch through. If they lose even three of their own members, then the nuclear option is dead. Call now and you will be directed to the office of a Republican lawmaker most likely to be open to these concerns. Tell him/her to vote NO on the nuclear option and NO on confirming Gorsuch to the Supreme Court. Dial 1-855-976-1895 and they'll walk you through every step of the process.